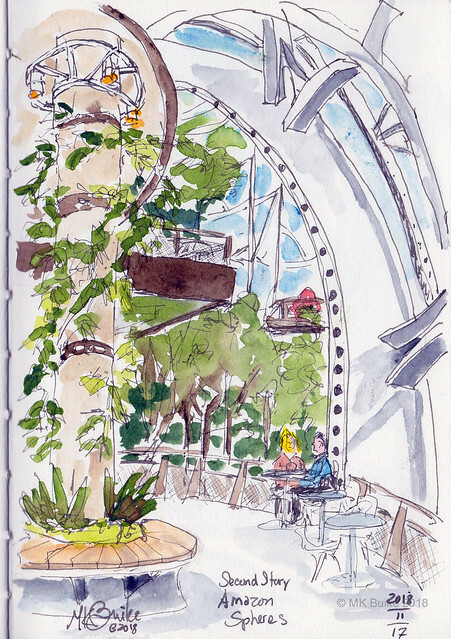 Over the past few years, I've sketched the Amazon Spheres as they were built. And then I sketched them from the outside. Finally, today, I got inside. 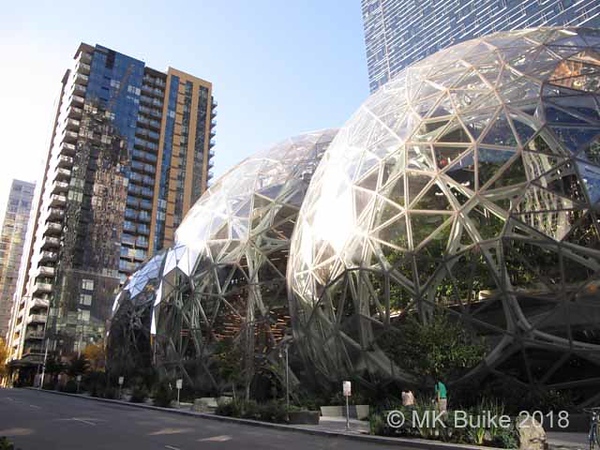 Some weeks ago I scheduled a "tour" of the Amazon Spheres. 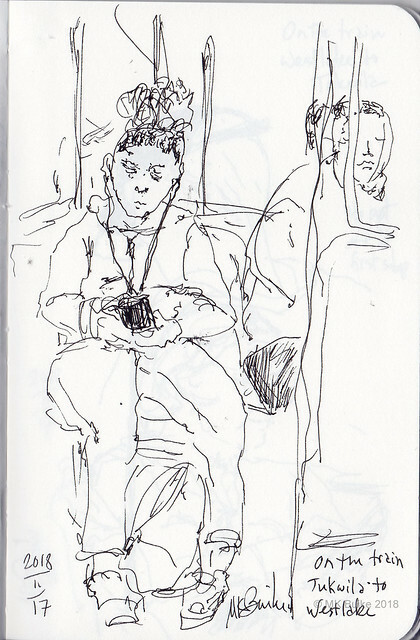 I went into the city via the light rail and did sketches while traveling in both directions. As it turned out, it was simply a ticket to enter and wander as long as I wanted. I first stopped at General Porpoise for a vanilla custard doughnut. 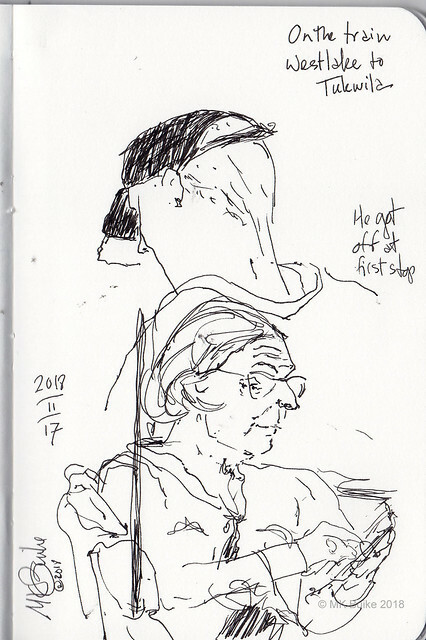 I used the time at the table to sketch. 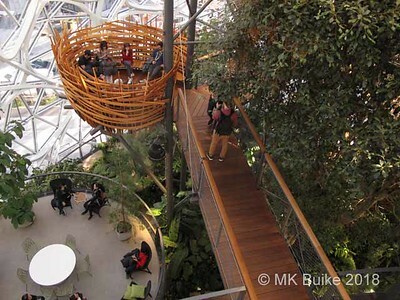 It is a wondrous place and the Amazon employees are fortunate to have it. I'm not sure how much work I would get done there, though! I was there about 2 hours. According to the tiny brochure, there are 2,636 panes of glass in the exterior. 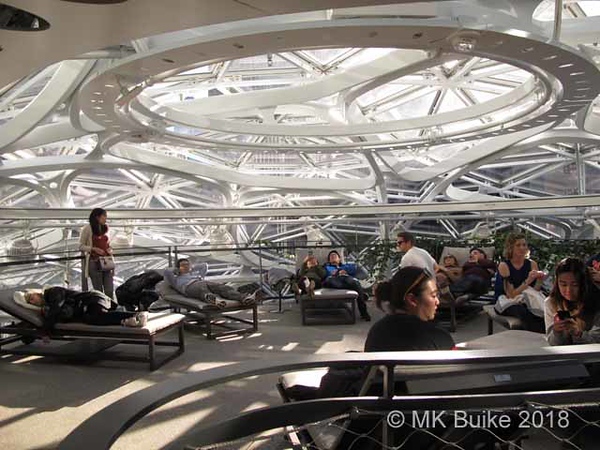 Many of the 40,000 plants inside are tropical so the conditions are kept at 72 degrees and 60% humidity in the day time. It would seem there's even a place to nap. The woman on the left was flat out asleep! 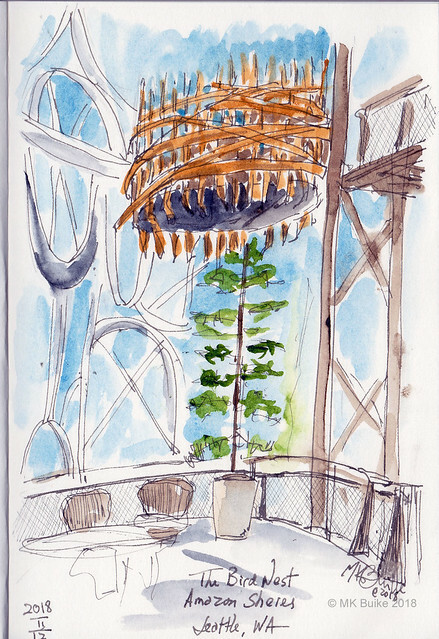 I'd seen Tina's sketch of the Bird Nest and knew I couldn't leave without doing one of my own. I think it's the most unusual spot within the Spheres. It is reached by a bridge that is rather bouncy, like a suspension bridge.